The new 2014 AHA/ACC/HRS Atrial Fibrillation Guidelines were just released at the American College of Cardiology annual conference in Washington, DC. In this video interview, Dr. Hugh Calkins, President of the Heart Rhythm Society and a member of the guidelines writing committee, discusses what afib patients should know about these new afib guidelines. The guidelines contain some very significant changes that affect afib patients. Video is approximately 8 minutes. Dr. Hugh Calkins is the Nicholas J. Fortuin M.D. Professor of Cardiology and Professor of Medicine at the Johns Hopkins University School of Medicine. He also is the Director of the Clinical Electrophysiology Laboratory and the Arrhythmia Service. He attended Williams College and Harvard Medical School before training in Internal Medicine at the Massachusetts General Hospital. He received his cardiology fellowship training at Johns Hopkins. Dr. Calkins trained in electrophysiology at Johns Hopkins and at the University of Michigan. His first faculty position was at the University of Michigan. He returned to Johns Hopkins as Director of the Clinical Electrophysiology Laboratory and Arrhythmia Service in 2002. Dr. Calkins has published more than 350 manuscripts and more than 50 book chapters, and is an Associate Editor of the Journal of Cardiovascular Electrophysiology and is on the editorial board of many other cardiology journals. Dr Calkins is a Fellow of the American College of Cardiology, the American Heart Association, and the Heart Rhythm Society. Question: What should patients know about the 2014 AHA/ACC/HRS Atrial Fibrillation Guidelines? Dr. Calkins: Regarding the new guidelines, I think it’s important, when you think about them, to realize this is a complete rewrite from the 2006 afib guidelines. These guidelines started with a clean sheet of paper, and so many things have changed in these guidelines. Some are the headlines, and some are the smaller things, but I think it’s a very important set of guidelines. Let me summarize some of the most important changes. I’d say number one is that the CHA2DS2-VASc score has now been recommended for risk stratification of stroke risk in afib patients. You’ll recall that the old guidelines recommended the CHADS2 score. Now with the CHA2DS2-VASc score, which is a much more sensitive scoring system, a lot more patients will end up having anticoagulation recommended. That’s number one. Number two, the recommendation for anticoagulation is a CHA2DS2-VASc score of 2 or greater. If your score is 2 or greater, the guidelines recommend either Warfarin or one of the new anticoagulant drugs, dabigatran, apixaban, or Xarelto (rivaroxaban). And they’re listed as alternatives, so that’s a big shift. Another big change in the guidelines is that aspirin has really been pushed down. As everyone looked at the scientific evidence suggesting that aspirin prevents stroke in afib—as you know the data really isn’t there, and this is a data driven process—the only place where aspirin is mentioned is for patients with a CHA2DS2-VASc risk score of 1. For those patients, anticoagulation, aspirin, or nothing are listed as alternatives. Now my preference in CHA2DS2-VASc 1, particularly patients with significant hypertension [high blood pressure], would be to err on the side of anticoagulation. I certainly am not impressed with the role of aspirin. I basically never would recommend it, or almost never, but that’s another big change in these guidelines. In terms of rhythm control, these guidelines are much more positive in terms of the role of rhythm control. And, this was more in the text, but they discussed the fact that if someone has a first episode of afib, even if they don’t have severe symptoms despite rate control, you need to think long and hard whether it’s worth pursuing [considering] rhythm control. There are lots of reasons for this, better rate control, but also the fact of atrial remodeling. If you have a patient with first episode of afib, and you choose to leave that patient in afib, five years later there will be enough remodeling where you’ll never have the chance to get that patient back to sinus rhythm. So in the text, it discusses the fact that a decision about rhythm control may be just to preserve the patient as being a candidate for catheter ablation, or some other ablation strategy down the road. Catheter ablation, consistent with the HRS guidelines, is recommended as a 1A recommendation for symptomatic paroxysmal afib where they failed a drug. For first line therapy, it’s a 2A recommendation. As you know, I think most patients should try an antiarrhythmic drug first. Question: Are there additional nuances for patients to know? Yes, I think there’s a lot of these small details that I think make a big difference. 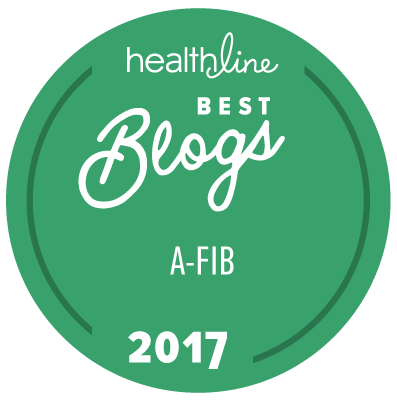 One of the things that has changed is the definition of atrial fibrillation, or how we diagnose atrial fibrillation. In the 2006 document, there was a figure saying that if you had one episode of afib, you weren’t considered an afib patient; you needed to have recurrent afib, a second episode, to really be an afib patient. In this guideline, we basically said there is no data supporting that; one episode is all you need. The next question is, how long of an episode does it take to call an episode atrial fibrillation? So you’ll recall, in the HRS consensus document, we said 30 seconds. In this document, it is silent about that; it doesn’t say 30 seconds, it doesn’t say five minutes, it leaves that to the reader. I think most of us believe that if you have atrial fibrillation that is 30 seconds or more, the length of a recording, you call that an afib episode. The other change is how we define persistent and longstanding persistent atrial fibrillation. In this new guideline, they use what they call the simplified definition, which is just based on duration of an afib episode. If it’s less than seven days, paroxysmal; seven days to a year, persistent; more than a year, long-standing persistent. Now, this is a change because both the ESC guidelines and the HRS consensus document bring in cardioversion; that if you cardiovert a patient more than 48 after the onset of afib, they would call that persistent; and, if it’s less than 48 hours, they would call that paroxysmal. Well this new document says, let’s just keep it simple, and just remember the seven day rule: less than seven days, paroxysmal; seven days to a year, persistent; a, year or longer, longstanding persistent. This document also clarifies the definition of permanent afib. I think you and I both know that permanent afib says nothing about the atrial fibrillation; it’s a strategy of care. It means that you and a patient, together, have discussed rate and rhythm control, and you’ve decided not to pursue a rhythm control strategy. Then you label that patient as having permanent afib. Now that patient could go see another physician, have another discussion, and say “wow, I’d like to get back to sinus rhythm.” Well then the label permanent is removed, and they then become persistent or longstanding persistent, and you pursue a rhythm control strategy. There are lots of other things that have changed. I think one of the other significant changes is, if you think about antiarrhythmic drugs, you’ll recall in the old guidelines they would break out types of structural heart disease. If you had ischemic disease, if you had hypertrophy, if you had cardiomyopathy or heart failure, then they would have different recommendations for different antiarrhythmic drugs. In the new guidelines, you’ll see that hypertrophy is gone from the figure. The reason for that is how do we define hypertrophy; it was never defined in the prior document. Is it is a wall thickness of 1.2, 1.4, 1.6? There’s no data saying what hypertrophy is and how this impacts any antiarrhythmic drug. In this document, we said, there’s no data, we’re getting rid of it, and we’re just saying structural heart disease, ischemic disease, or not. So again, there’s lots of changes throughout the document, that I think are very important, some of them are headlines, some of them are smaller changes, but clearly this document is going to have a big role in afib management in the years ahead. Mellanie True Hills: Excellent. Thank you so much, Dr. Calkins, for sharing with us the information we need to know about the new afib guidelines.